Now is an exciting time to be in the HVAC (heating, ventilation, air conditioning) industry. So much new technology now exists to do the same cooling and heating work as before but with greater efficiency at a lower cost. The newest HVAC units do a better job of filtering and purifying our indoor air than at any other time in history. This is especially important now, during Canada’s annual wildfire season, when our outdoor air is burdened daily with airborne toxins that can be very hard to avoid! Every day, our outside air gets more toxic (and never more so than now, when our mates just across the border are retracting their commitment to the Paris climate accord, which is so vital to global air quality in decades to come). While this may mean we have less control over our outdoor air quality going forward, we can still retain full control over the quality and purity of our indoor air supply. We can take back control of our indoor air quality by upgrading to one of the latest HVAC units. And if you decide to upgrade your air conditioner in August, you will automatically be entered for a chance to win back the costs of your A/C upgrade! According to the U.S. Centers for Disease Control (CDC), maintaining the cleanest possible indoor air is an urgent ongoing health priority, and never more so than during the season each year when wildfires release excess smoke toxins into the air. The wind can swiftly carry these toxins quite a distance from where the actual fires are burning, causing widespread air pollution and compromising your respiratory health. If you or anyone in your family struggles with allergies, asthma, or lung or heart issues, the threat is even more present. Sometimes, evacuation is the best option to lower the threat level. Refrain from adding to the air pollution (i.e., by burning candles, smoking, using a fireplace or woodstove). Use your air conditioner with the air intake valve closed. Clean or replace your air conditioning filter more frequently. Do not trust regular air filter face masks to filter out the micro-particles generated by airborne smoke toxins. There is only one air filtration system in the world that is able to trap and filter out the ultra-tiny emissions particles generated by wildfire smoke. This is the HEPA (high efficiency particulate air) filter, which can keep out even the tiniest particles with 99.97 percent efficiency due to an extreme restriction in airflow as fresh air passes through the filter. Only HVAC units that are efficiency (SEER) rated to work at a “16” or higher can use HEPA filters. So when you upgrade your HVAC unit, you can also automatically take advantage of the best air filtration technology available anywhere in the world! When you upgrade your air conditioner this month, you not only ensure the cleanest, purest indoor air for you and your family, but you also lower your monthly energy bills. This is because the newest HVAC units are also the most energy efficient units ever created. These units automatically integrate with other air quality appliances such as the heat recovery ventilator and the whole-home humidification and air purification systems, while also delivering more cool for less cash. A perfect example is Shipton’s EcoAir Air Conditioning unit. This unit carries a “16” SEER rating, so it works with HEPA air filters automatically. It also uses the new eco-friendly R-410A refrigerant. The two-stage compressor and condenser system conserves energy with every cooling cycle. Best of all, the unit is compact, efficient, and easy to maintain. Shipton’s UltraAir Air Conditioning unit is another great example of cutting-edge HVAC technology at work. This unit also carries a “16” SEER rating, making it fully compliant for using HEPA filters. It too uses the new eco-friendly R-410A refrigerant, and it features inbuilt controls to reduce energy use with every cycle. Best of all, it is nice and quiet! 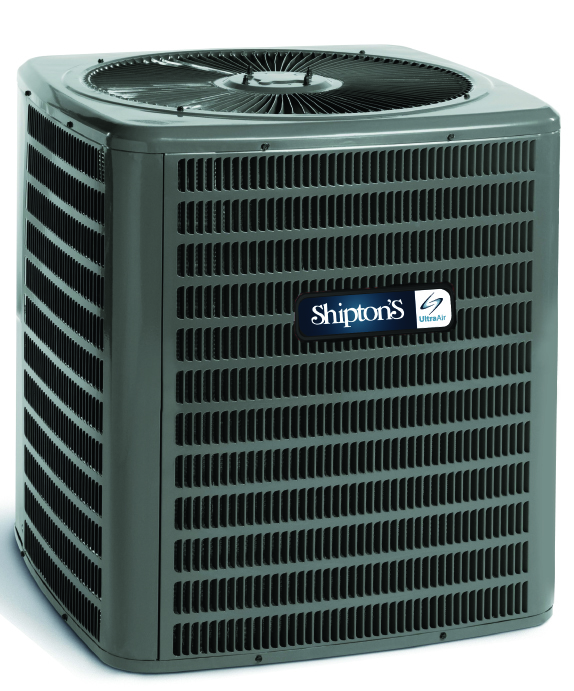 Each Shipton’s brand air conditioner comes with a 10-year warranty and an eco-friendly design that ensures monthly energy cost savings with quiet, efficient operation. Even if you are not yet ready to upgrade your existing air conditioner, you can still make a great impact on your overall indoor air quality by scheduling your annual HVAC inspection and maintenance service this month. Your technician will do a thorough cleaning and maintenance inspection of your unit, making recommendations about timely repairs and parts replacements to keep your unit operating safely, efficiently, and effectively. Don’t Miss Your Chance to Win a FREE Air Conditioner! The Shipton’s Oldest Air Conditioner contest continues to the end of August. We are searching for the oldest air conditioner in our service area that still works. One lucky customer who upgrades their air conditioner this month will WIN a total reimbursement of their new HVAC unit—it could be you! 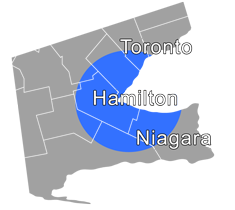 To learn more, simply complete this short online form or give us a call at 905-549-4616.